You are currently browsing the Archaeofacts.com archives of Musings for the day Monday, September 13th, 2010. 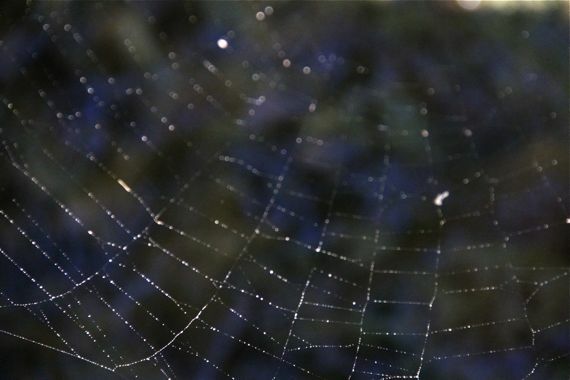 I am fascinated by the interplay of light on webs—is this my Charlotte the Spider connection? From yesterday’s walk; too lovely to not post, especially since we made today a Chore Day, and eradicated much dust—and not a few cobwebs—from our aged cottage interior.